Our Covers Guide has been made with our opinions and our suggestions based on our covers experience of covers, fabrics, and customer feedback. Opinions and Ratings are our own company opinions, we have given a comparison also to covers which we no longer sell, non woven polypropylene covers. Our own experience over a number of years has shown us that these cover type do not perform to the same level as other covers used for comparison. This is a general guide only. All lifespans are guidelines only and do not constitute part of any warranties. Each cover type requires its own level of care and maintenance in order to achieve full lifespan or weather capabilities. In general when selecting a cover the price determines the quality of the material used in regards to its longevity under Australian UV conditions. When deciding to protect your RV you will find that more expensive covers last longer than cheap covers and do not need to regularly replaced. If you have bought a new van the price of a good quality protective is small compared to the price of the asset you are protecting. Other manufacturers or suppliers may provide different opinions. We try to be 100% honest, upfront and open about all of our covers features, benefits or drawbacks that they might have so that you can make an informed decision about the best cover to purchase for your specific needs. For example customers living in the tropics would normally be looking for maximum breath-ability in the cover: Ultimate, Ultimate Plus or SunCover. Whereas a customer living in a Hail prone area would certainly be best investing in a StormCover or a Fabric with a Storm Blanket or StormCap to use during Storm Season. A very agile RV owner might not require a 3 piece zip on cover, whereas a customer who would prefer a 3 step installation process may be bettter suited to either of our two zip on design covers. Whatever your protection needs please fee free to contact Coverworld at any time. 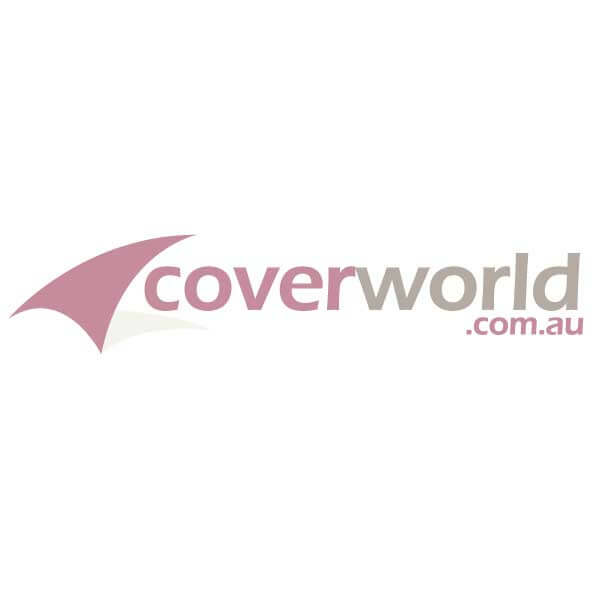 Coverworld and StormCovers are the same company so you only need to make one enquiry to these companies. For very High Humity Places then the best covers for your specific stoarge needs are Ultimate, Ultimate Plus and SunCovers, all made from Exceptionally Breathable Materials. A cover over the body of the van will protect from dirt and dust. Fabric Covers: Ulimate, Ultimate Plus and SunCover wrap under the body a bit more so can stop dirt entering inside. Note in dry conditions static charge can cause build up of dirt on van or cover, see desription here about Static. The lowest price covers can be found in stores or online, Coverworld do not sell these cover types, our philosophy with RV covers is buy it once and buy it right, note that cheap covers normally break down quick, beware of often misleading claims by some retailers. retailers selling covers with warranties that are not a genuine indiciation of lifespan. Installation of all covers takes time and for large vehicles is best done with two people. However all of our RV covers have been installed by one person on very large RV’s. Three piece zip on design install process is easier, but the time taken is the same as our ultimate and ultimate plus covers. The StormCover and SunCover are made for the RV shape based on the side profile. Note some manufacturers base covers on length only and require straps and ties to make the RV shape. The Ultimate and Ultimate Plus covers are both semi custom fitment, made to order and with only a 30 increment in sizes. Heights available for Full Size and Pop Top Van heights. Note most shop or online covers have a size range between 60cm to 90cm often resulting in very loose cover fitment. The Ultimate Covers are both one piece covers (traditional RV cover design) and as they are made from Marine Fabric they can be quite heavy. A typical cover weighs around 12 KG’s for an average sized RV. The Ultimate Plus fabric is lighter in weight. ** Note that light weight does not mean inferior quality, in many cases cheap covers are bulky and thick and are of inferior quality. Note that lifespans are greatly influenced by cover maintenance, specific storage conditions and method of installation and storage, please see detailed notes about lifespan, all lifespans are Guides only and are dependant on a number of factors. For all Fabrics you should use Specialist cleaning products and Fabric Guard. On the Stormcover you can use all purpose cleaner (303 or Simple Green) and Aerospace Protectant.